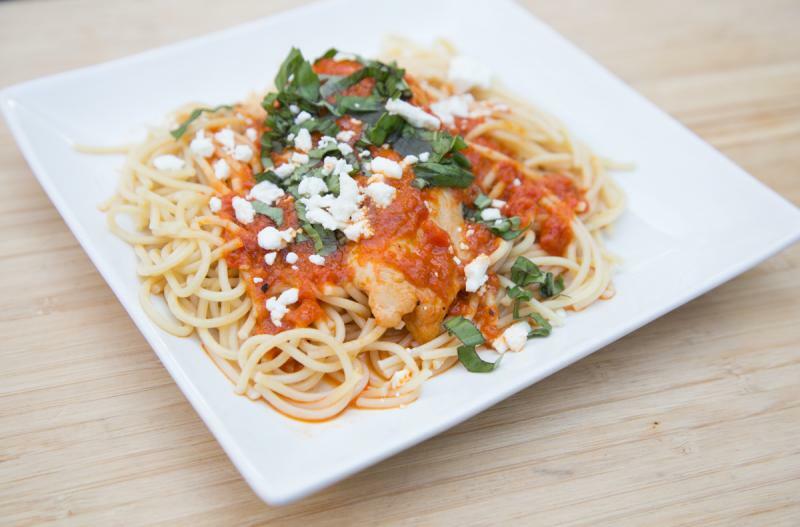 A sweet twist on a marinara sauce for your pasta. Instead of tomatoes, we’re making a roasted red pepper based sauce...that is savory, with a touch of sweet. It’s great when served over rice or pasta! Lightly pound the chicken breasts to flatten them. In a blender or food processor, blend the roasted bell peppers and the oil from the jar with the tomato sauce and Italian seasoning. In a large skillet, heat the olive oil and saute both sides of the chicken for 2 minutes, then pour the roasted red pepper sauce over the top. Let simmer for 8 to 10 minutes, or until chicken has cooked through. Swirl in the heavy cream and bring to bubbling. Garnish with Feta crumbles and fresh chopped basil. 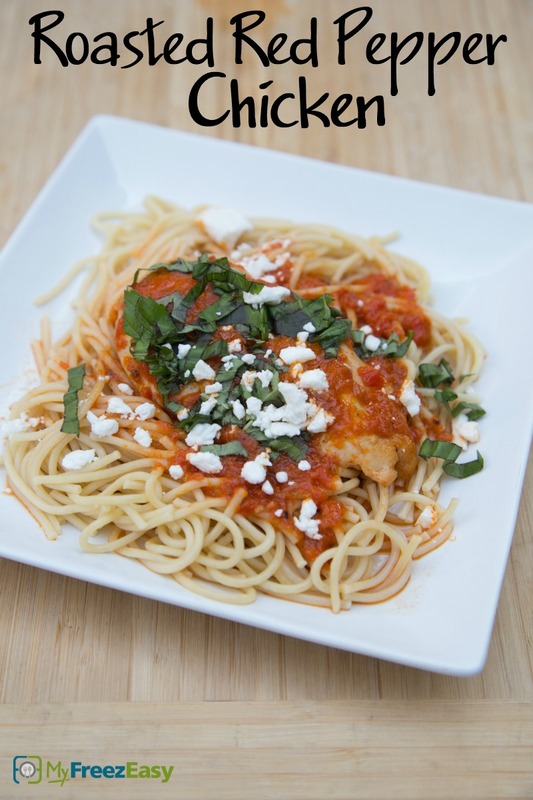 Serve Roasted Red Pepper Chicken over pasta. Put baggie in the freezer and freeze up to 6 months in fridge freezer or 12 months in a deep freezer. Thaw in the fridge overnight, or a warm bowl of water for about 20 minutes, before transferring to skillet and simmering until the chicken is cooked through. Recipe is dairy-free when omit the Feta crumble topping. Recipe is gluten-free when served with gluten-free sides and gluten-free pasta. Thaw and simmer the chicken and sauce for about 15 minutes, or until chicken is cooked through. Garnish with Feta crumbles and fresh chopped basil.